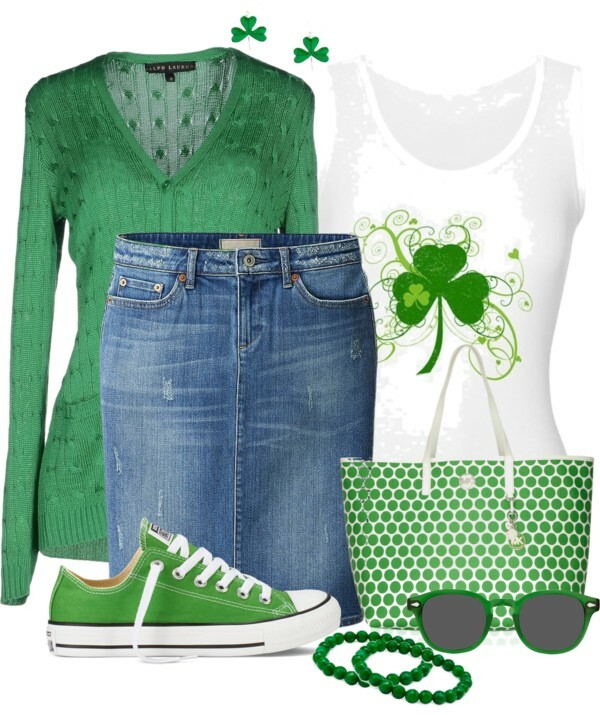 Today I've got an awesome Polyvore compilation for ladies! 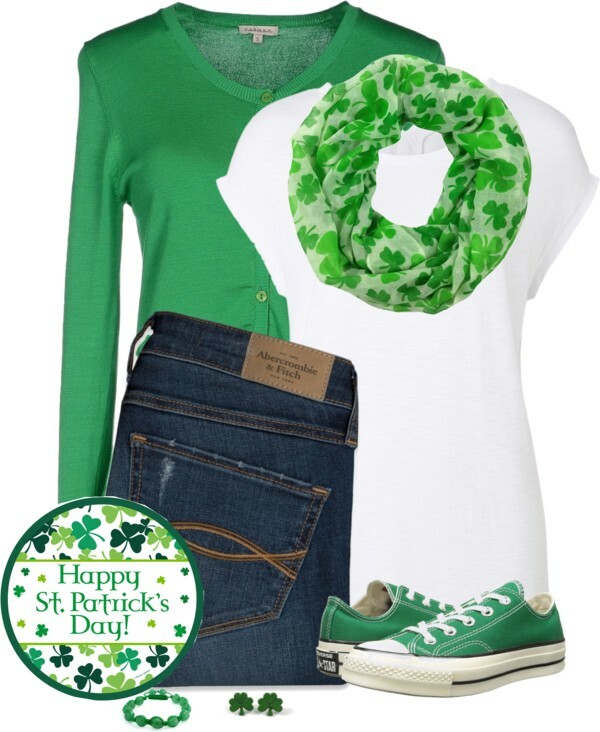 I am going to share with you these 26 awesome outfit ideas what to wear for St. Patrick's day. 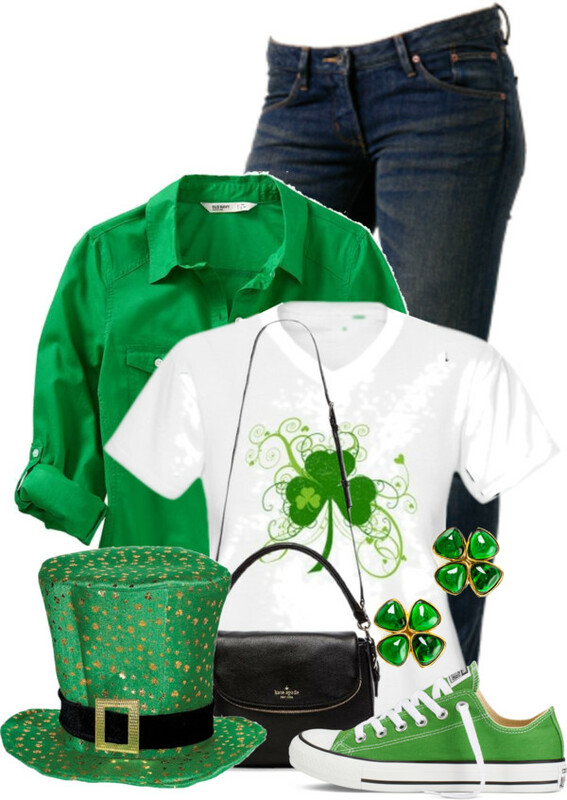 If you want to celebrate and enjoy the Irish cultural and religious feast, then you are more than welcomed to view these brilliant outfit ideas for the parades and dances. What is so special about this day outfits? They are green and shamrock. 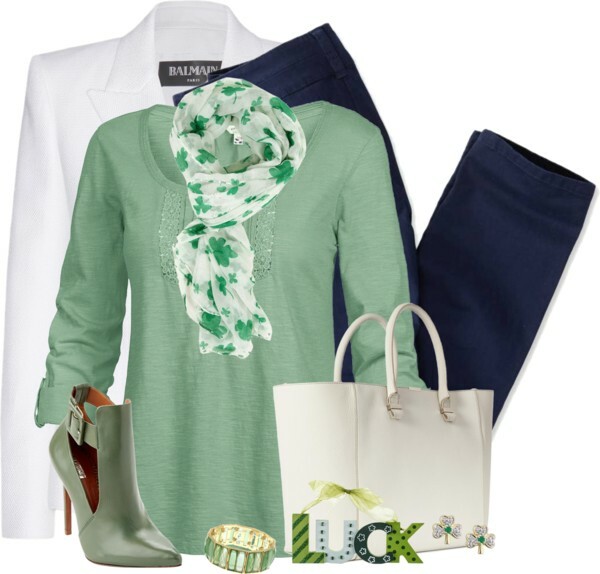 Make some fun with a white T-shirt, buttoned green cardigan and cool slim-fit jeans. Love the trainers. 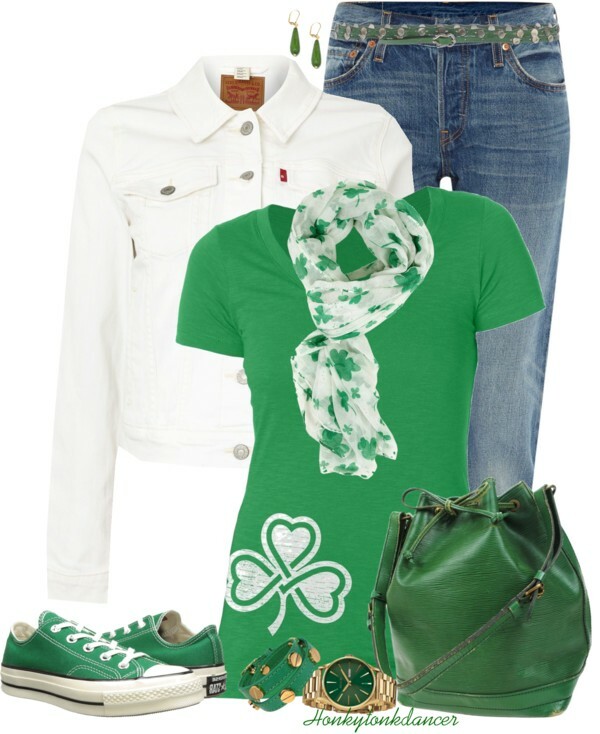 The green T-shirt can be updated with white short-sleeve hoodie, faded grey jeans, white trainers and green handbag. 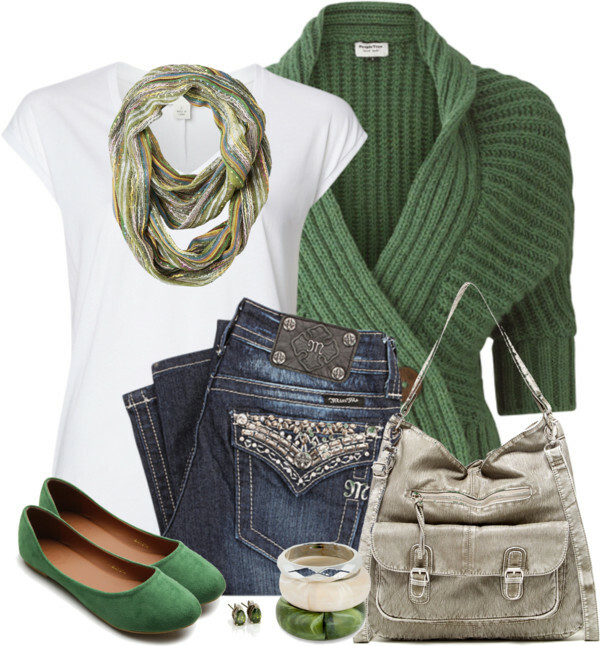 Go for a denim skirt, white tank and green cardigan. 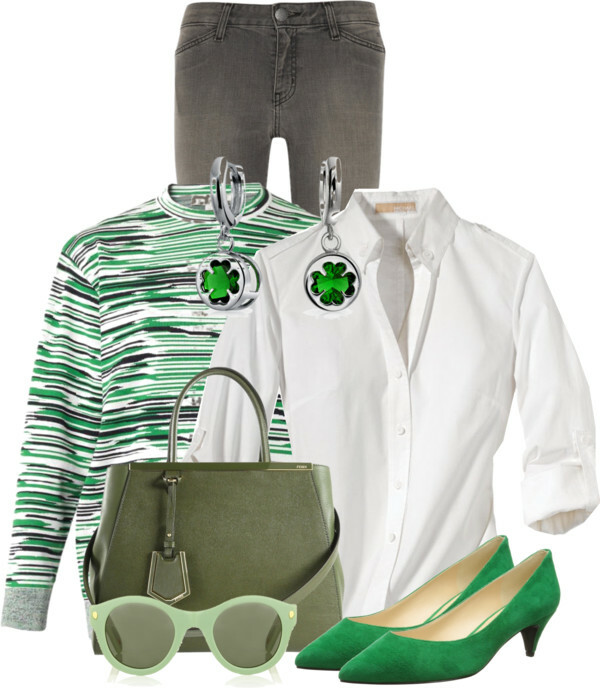 Love the green trainers and green frame wayfarers. How about wearing a light green blazer with white-green printed tank, denim pants and green loafers. 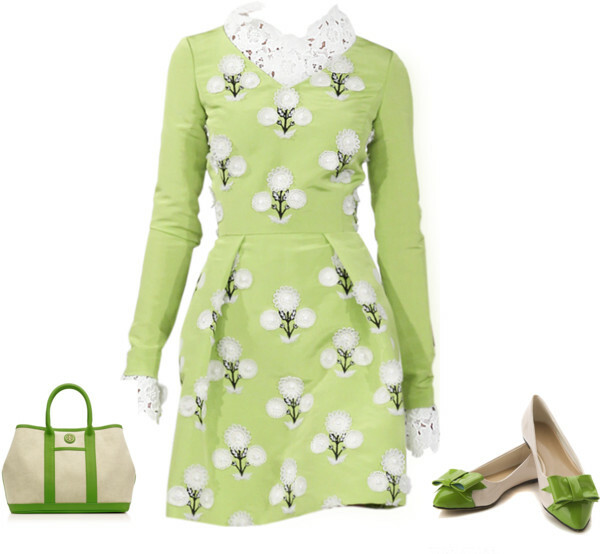 Make it more ladylike and try on a summer dress with a high-neck cream beige coat and emerald accessories. 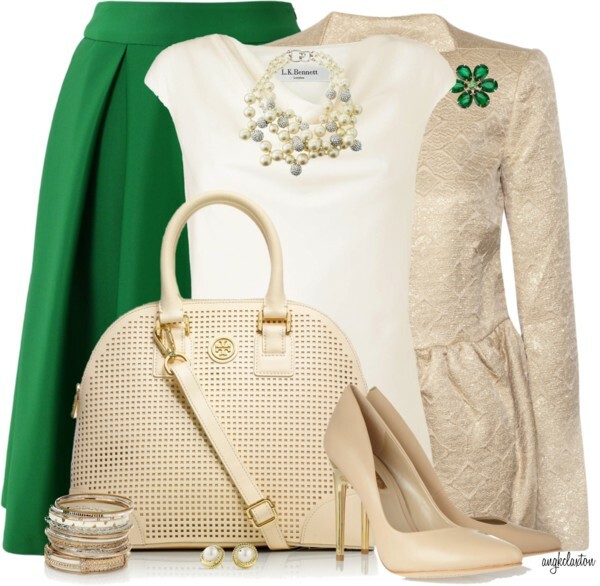 Have some fun with a tea-length green skirt, white tee and brocade shiny cream blazer. 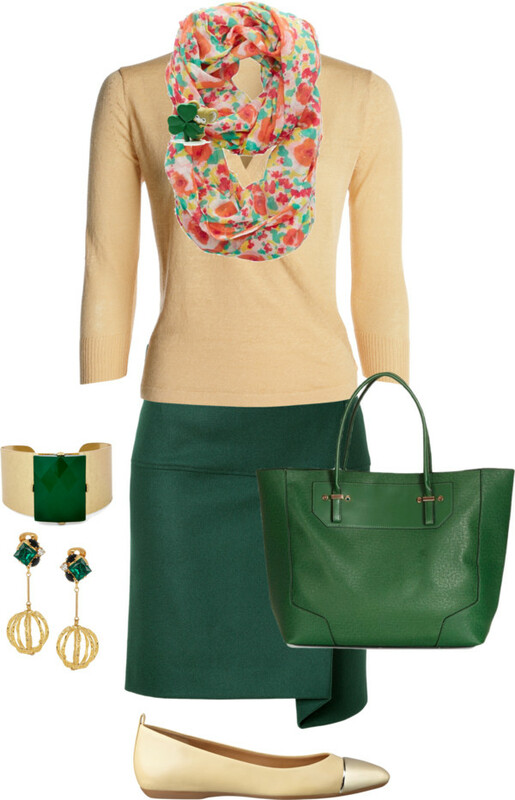 The cream white pencil skirt looks stunning paired with dusted pale green tunic. Love these feminine accessories like a Michael Kors bag and eye-catchy pumps. 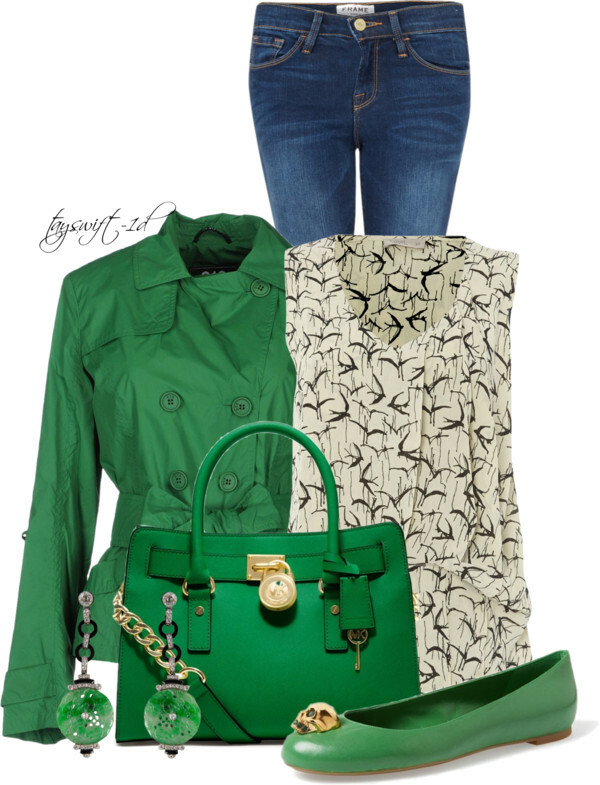 If it's windy outside, then you better go for a bright green trench-coat, bird print sleeveless top, faded blue skinnies, bright green handbag and flat pumps. Be bold and go totally green! Love this pencil frock. 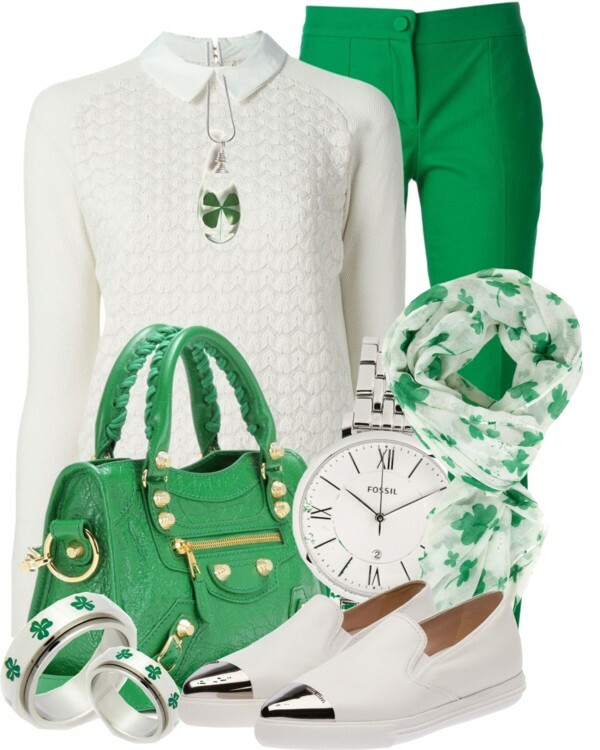 How about wearing wool cable knit green sweater for this very special day. Make some fun with striped black and white midi skirt. The casual look will always look amazing! Go for some chic accessories that for sure will update your outfit. 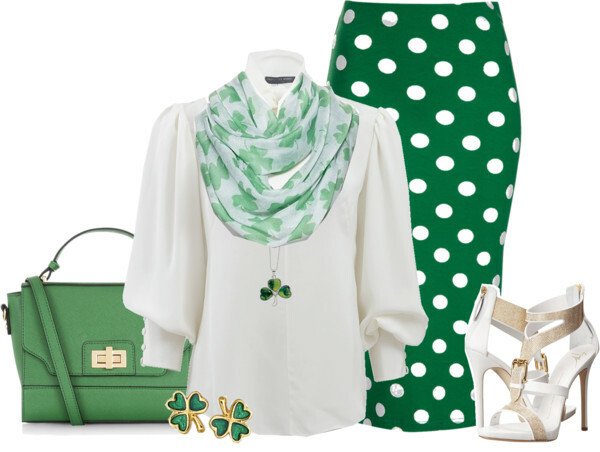 Love this green pencil skirt with white polka dots! Everything looks feminine and lightweight. Update your sweet midi skirt with white blouse in black polka dots and cool black blazer. Where can I purchase the green dress on this page from.